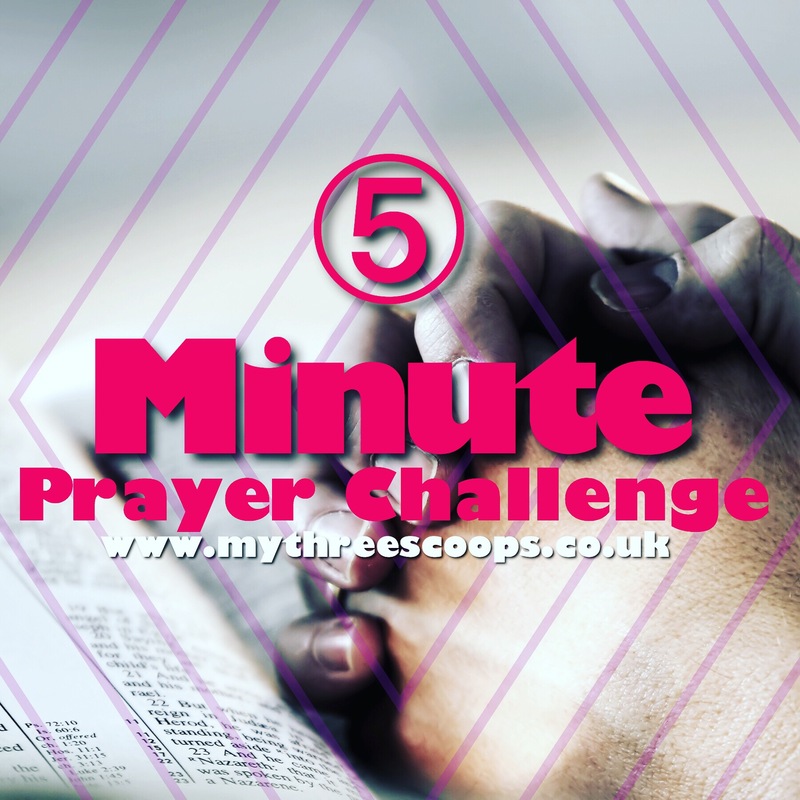 So if you missed last week, this month I’m doing a 5 minute prayer challenge that I’d love you all to join in with. I’ve had so much fun doing this, and even when I’ve been tired, I’ve pushed and seen so many testimonies of God’s faithfulness. “If you knew how much you needed God, you would pray more.” I read. This quote in a prayer book a few years ago, and although I can’t remember the author, the quote has never left me. It is so true; think about it. We need God, and prayer is our expression of that. Our lack of prayer indirectly tells God that we don’t need him as much as like to deceive ourselves that we do. When you pray the scriptures, you pray God’s will. The bible says when we pray according to his will he hears us (1 John 5:14). The bible says that we ask and don’t get because we pray amiss (James 4:3). The bible also says he is watching over his word to perform it (Jeremiah 1:12) and no word of his will fall to the ground void (Isaiah. 55:11). We have the awesome promise of knowing that when we pray scriptures, God hears us and answers us. It makes you more intentional about your prayer life. As I said in my last post, praying more is something we all talk about doing more, but never actually get around to doing. This method encourages you to be intentional about it and hopefully make the necessary changes. You will automatically, but subconsciously learn to memorise scripture. Because you are praying scriptures, you will remember them. So many times, I can’t remember what I’ve read the next day, but I’ve found that since doing this method, I’ve remembered what I’ve read even a few days ago! So this week I’m also going to post some of the scriptures I read and the prayers I pray from them.